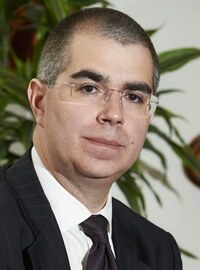 Quindell chairman and chief executive Rob Terry saw his pay increase by nearly 50% in the last financial year, the alternative business structure’s annual report has revealed. Mr Terry received an overall package of £1.32m, made up of a basic salary of £600,000 and a bonus of £720,000, the maximum 120% of salary allowed under the company’s bonus scheme. In 2012 he was paid £890,000, with a basic salary of £402,000 and bonus of £488,000. In 2011, he received £407,000 in total, less than a third of his current level. Laurence Moorse, the group finance director and only other executive member of the Quindell board, also saw a big rise, from £342,000 in 2012 to £430,000 in 2013. In 2011, he was paid £130,000. The report recorded a successful 2013 for Quindell, with revenues up 133% to £380m, and profit before tax up 172% to £133m. It came before the recent turbulence in the company’s share price, where a critical investigation by US short-seller Gotham City Research saw Quindell’s share price tumble. It has yet to recover, closing on Friday at 19.5p, half of the value before the report was published. Various measures to bolster confidence, such as , legal action against Gotham and a detailed response to its allegations, have failed to revive the share price to date. Meanwhile, National Accident Helpline has confirmed that its planned listing on AIM will take place this week. NAHL Group plc will have an initial market capitalisation of £82.3m after setting the price of its shares at £2 – less than the £100m that had originally been targeted. The move is expected to raise £32.7m for the institutional and individual selling shareholders. NAHL Group generated revenues of £39.7m and operating profits of £9.8m in the last calendar year. Chief executive Russell Atkinson said: “NAHL Group is a well-recognised and trusted brand with a highly cash generative business model and we are delighted that investors have recognised the potential that exists for further growth in our market.